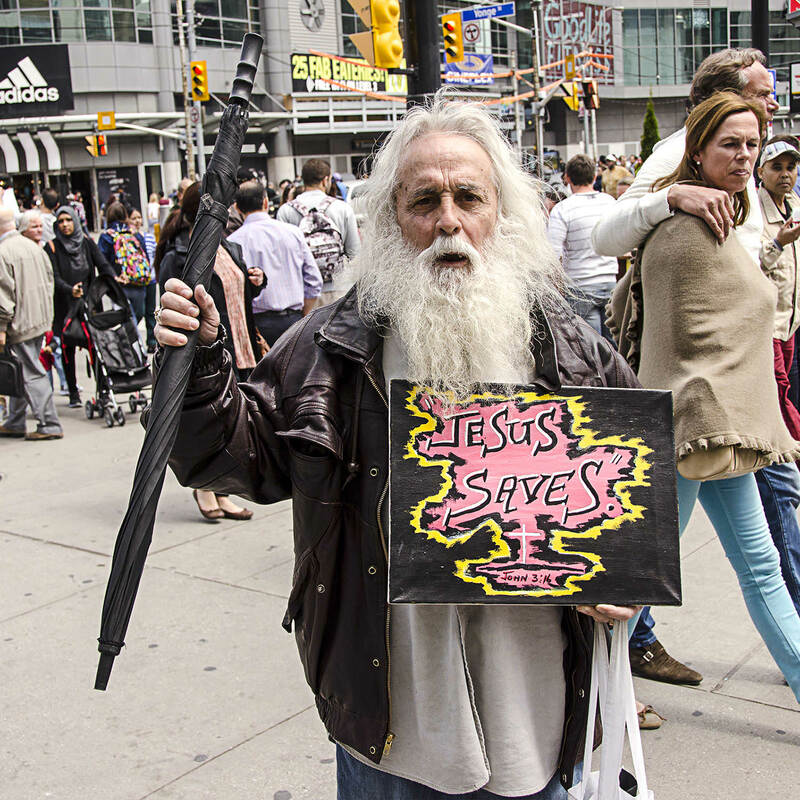 There’s nothing wrong with street preaching. In fact, it does a lot of good. But today street preachers have a bad name. Sometimes it’s justified and sometimes not. I’ll grant that all of the pop-culture depictions of Christians and Christianity that I’ve seen are wildly inaccurate. And a short clip on YouTube that shows a street preacher acting out isn’t the whole story. However, I think I’ve identified three distinct kinds of crazy street preaching you’ll want to avoid. Street preaching was popular before the Internet, TV, radio, the printing press. It was a powerful way to spread a message. Even after the printing press many could not afford books but tracts became popular. And so public preaching remained common. Today it’s much more efficient to upload a speech to YouTube where it can reach millions vs speaking to a few dozen people on a street corner. I would grant that there are significant differences between an online interaction and one that’s face-to-face. Despite this apparent disparity efficiency you’ll still find street preachers on the corners of most if not all big cities. There are at three kinds of street preachers that give the rest of them a bad name: the screecher, the offender, and the hype man. Definition: Make a loud, harsh, squealing sound. The louder the better, yes? This is the impression you might get if you listened to some street preachers. Loud & Proud: They start loud and maintain their ear splitting level. The Ramp-Up: They start soft but get louder as they get into a rhythm and gather a crowd. Pretty soon they reach a level of diminishing returns. The Passive-Aggressive: They get loud then instantly softer when confronted with a heckler. The purpose is to make their opponent look irrational. Definition: Being offensive to your audience merely for the sake of gaining attention. Saying something outrageous is a time tested way of getting attention. The purpose is to get the attention of your audience so you can communicate something. Jed Smock has been around for a long time preaching on campuses around the country. He’s so famous he’s even had a documentary made about him. Jed uses a combinations of offensive or shocking speech. Definition: Someone who supports the primary speaker with exclamations and interjections, and who attempts to increase the audience’s excitement with call-and-response chants. They’re entertaining to watch and their colorful clothing make them impossible to miss even if you’re deaf. Hebrew Israelites are self-professed racists who take to the streets to “wake up” their people. Call and Response: When Hebrew Israelites preach they have one speaker and one or more men ready to look up and read scripture out loud, like really loud. Amen: When their speaker says something especially important their “crew” goes into action the same way a crowd cheers a rapper who spits a particularly good line. Being Loud: Hebrew Israelites are really loud. They don’t seem to use bull horns or portable microphone/speaker setups. Cutting: Hebrew Israelites like to say that they “cut” people by using Scripture against them. Street preaching has its place but don’t be a screecher, offender of hype man. Please comment if you think I’ve missed a species.